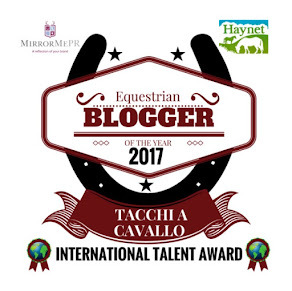 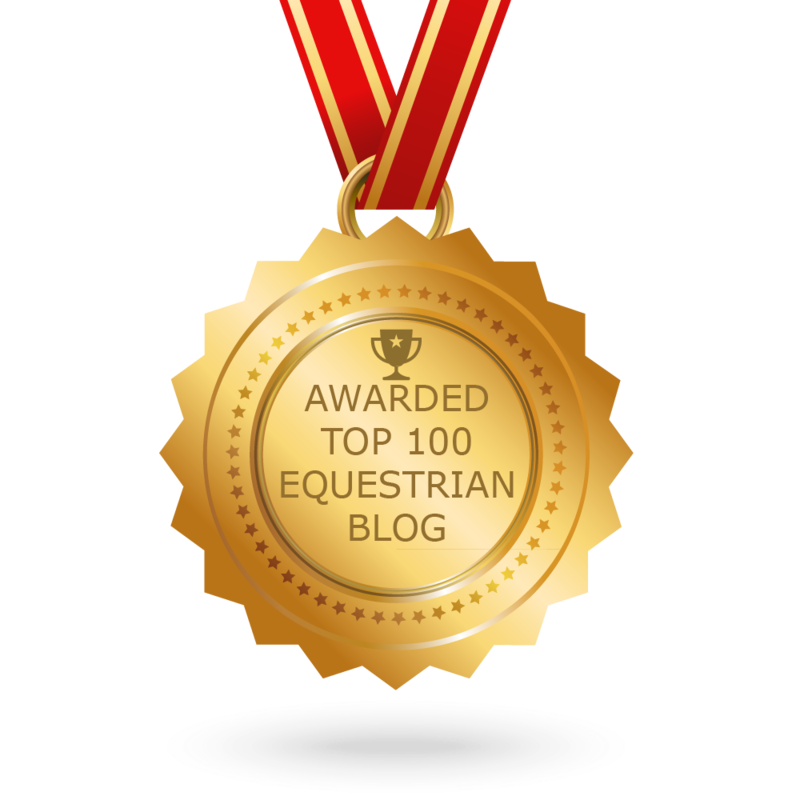 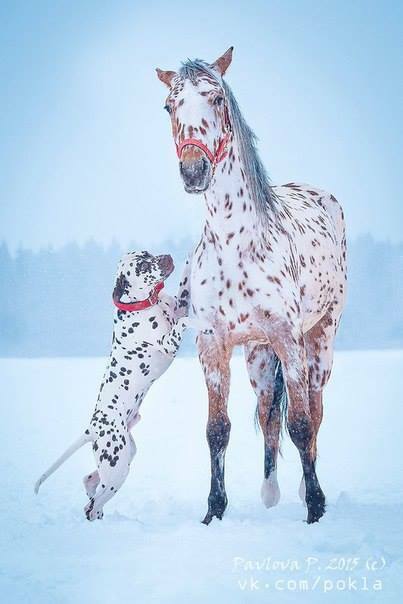 Dear horse lovers, I was so amused by this pair of four-legged friends playing together that I could not keep myself from sharing it with you! 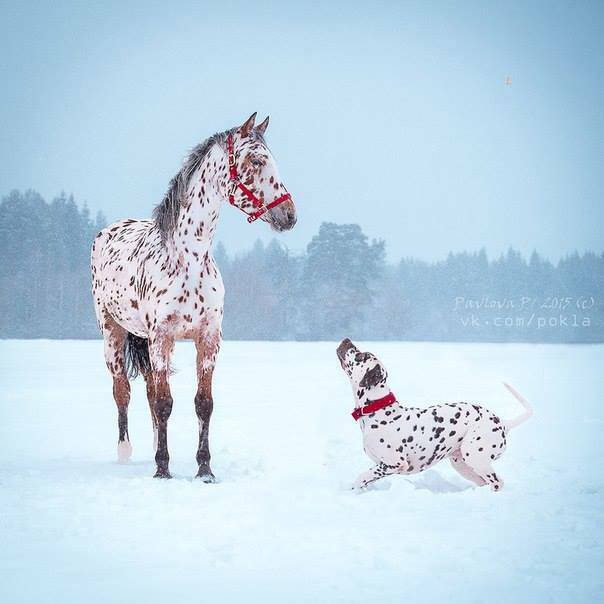 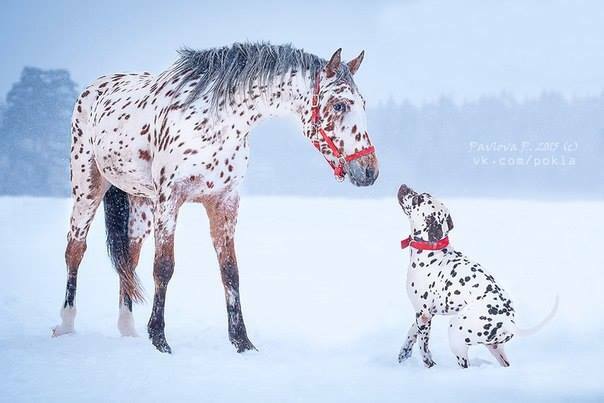 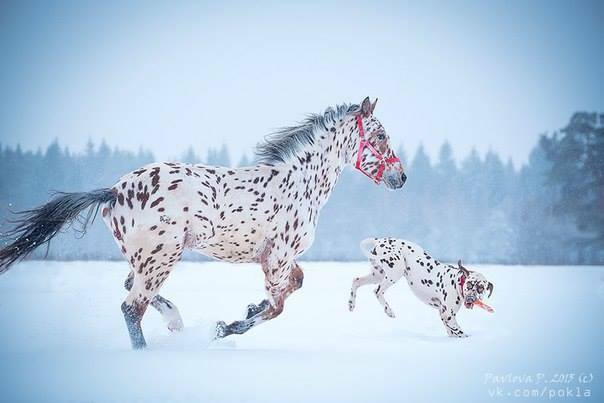 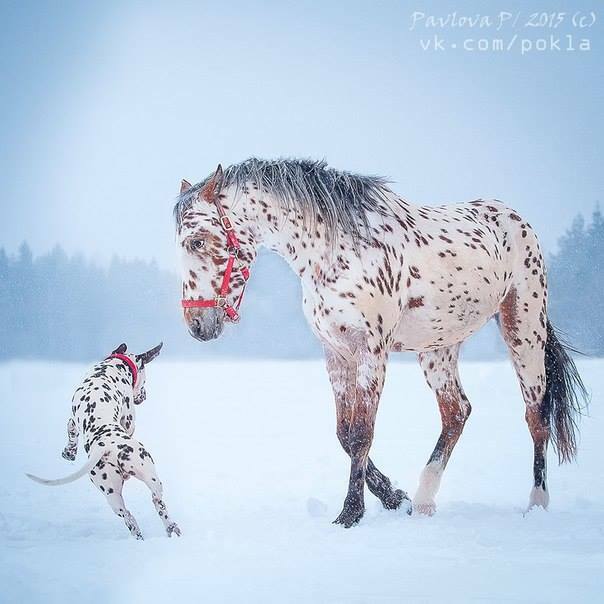 The photographer perfectly caught the affinity of horses with dogs, featuring a Knabstrupper and a Dalmatian with the same majestically beautiful leopard-spotted coat pattern. 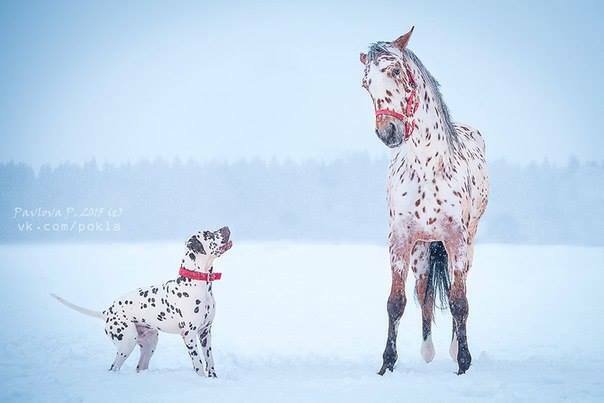 I am simply in love!